Global companies face a constant need to grow. With new technology and continuous innovation drastically bringing down the life span of products on the one hand, and the integration of emerging economy competitors into the global economy increasing the overall competitive intensity on the other, brands are to grow to survive and sustain in the long run. Furthermore, the pressures of free markets are such that the stock markets reward those brands that can demonstrate their ability to constantly grow either by milking their existing markets or by aggressively creating new market spaces through innovation and globalization. Responding to such well-established and entrenched institutional norms, brands incorporate their quest to expand as a central tenet of their strategic brand charter. Contingent on the nature of the industry they operate in and the resource and capabilities they are endowed with, brands more often than not leverage their brand equity to expand their strategic scope and scale. As such, leveraging their carefully built brand equity to grow, brands expand via brand extensions into different categories within the same industry, brand expansions into different industries across markets, and brand globalization by entering into different institutional environments. Growth inherently is neither good nor bad. The type of growth strategy used by the brand and how such strategies align with the brands’ overall brand portfolio, their strategic positioning in the market place and their relative standing vis-à-vis competitors determine the extent to which growth strategies can be beneficial or detrimental. However, although the benefits of such expansions are often highlighted, such growth strategies are always fraught with considerable challenges. Over stretching the powers of brand equity can not only dilute the underlying value proposition of the brand by messing up its positioning, but also create challenges for the brand’s resource and capabilities. Given that growing the brand is a seemingly double-edged sword, it becomes imperative that the chief brand ambassador, the corporate boards and top executives consider the potential impact of any such growth strategies on the brand’s established positioning, its equity and the underlying brand essence. Also, in deciding to grow their brands, CEO, top executives and the brand managers should be cognizant of the inherent challenges to such moves. In particular, three factors become extremely important in the context of expanding the brand globally. In strategically addressing these three factors in the overall context of the corporate brands, they can easily navigate the challenges of brand globalization. This article provides guidelines to effectively tackling these three challenges in brand globalization. Strategically managing multipoint competition: The benefits of expanding across national markets are quite obvious. Brands can develop new markets, experiment with new variants of their products, form new collaborations and ultimately extend their growth cycles. However, globalizing a brand is also fraught with challenges, some of which if not managed strategically can exceed the inherent benefits. One of the biggest challenges the globalizing brands face is to manage the multipoint competition. When brands enter new national markets, they invariably have to compete with many of the local market leaders and regional brands that are firmly entrenched with the institutions and infrastructures of that market. And as the number of markets that brands enter increases, they open up attack from multiple competitors on multiple fronts. As such, devising strategies to suit different markets so that they outcompete their rivals can be indeed challenging. CEOs and brand managers should carefully consider the resource outflow, investment of human and social capital involved in strategically managing such multipoint competition. 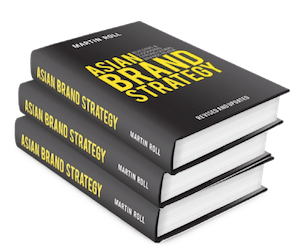 Recent interest among the world’s leading brands to enter the Asian markets, especially the markets of China and India demonstrates the challenges of brand globalization. When Google refused to be censored by the Chinese government, it was forced out of the Chinese market. Such a challenge not only diverted Google’s resources from effectively competing against Yahoo!, Baidu.com and Bing.com, but it also reduced Google’s competitive flexibility in strategically dealing with new competition points. Restructuring and reconciling the brand portfolio scope: How to make sure that the brand portfolio is not inflated with different variants introduced to compete in different segments in different markets? Brands’ quest to grow, either in their home market or in multiple foreign markets, can be a double edged sword for effectively managing the brand portfolio. As brands grow by entering new segments with an industry, entering new industries or just by expanding the product variants, they add variety and chaos to their brand portfolio. Each new addition to the brand portfolio creates scenarios where brand managers have to effectively align the overall value proposition of the corporate brand with those of all other brands in the portfolio. Such scenarios become even more complicated when coordination and consolidation among all the different markets is not tightly implemented. Furthermore, the brand leadership is also confronted with the challenge of pursuing either a strategy of strategic stretch or strategic leverage. And such a decision becomes highly challenging in the face globalizing the brand. Any global brand that simultaneously operates in multiple segments faces this problem. Brands such as Toyota, Honda, P&G, Unilever, Canon, Nikon, Harley Davidson, Creative Technologies, Samsung and many other brands have long faced the challenges of crafting their product variants to the specific demands on varied segments. When an additional layer of strategic complexity is thrown in the mix in the form of foreign markets, factors such as institutionally accepted price points, market specific positioning and relative position of the brand variant in a given market in the overall brand portfolio affect the extent to which brands can manage the portfolios. Ensuring optimal localization to maintain the global brand identity: Finally, one of the most pervasive challenges faced by companies trying to globalize their brands is to achieve that delicate balance between maintaining their defining brand identity while at the same time customizing the brand message to appeal to the local cultures, preferences and regulatory environments. Usually referred to as glocalization, this process of optimally combining the global aspects of the overall brand characteristics with the local aspects of brand communications, positioning and value delivery can be highly challenging. Some of the most iconic brands have failed on this front. A class example is that of Disney World’s entry into the French market and eventually to the Hong Kong market. Given the iconic appeal of Disney, the brand guardians assumed that a straight forward exporting of all brand elements would appeal to customers across markets. However, given the unique demands of the French and Chinese customers, and their underlying perceptions of value, Disney suffered considerably when customers refused their patronage. Given this, brands will have to be cautious to ensure that the extent to which they glocalize does not erode the positioning and identity of the brand in the most important home markets. As brands enter more foreign markets, the process of ensuring brand consistency get even more complicated. As such, despite the benefits of globalizing the brand, the extent to which the CEO and top management effectively manage the process of strategically glocalizing decides the overall success of brand globalizations. Managing country risk in international market entry: Despite the seemingly flattening world, countries are different in their formal institutional requirement, and also in their informal cultural norms. As such, global brands entering new foreign markets will have to carefully manage the legal, political, cultural and regulatory requirements and expectations. Additionally, CEOs and corporate directors of these brands will have to strategically evaluate if customizing for a specific country aligns well with the overall brand charter. For example, some of the most well known brands including McDonald’s and KFC had to reconfigure their menus when they entered the Indian market. Given the tremendous potential of the Indian market, these brands tweaked their menus to be sensitive to the sentiments of the Indian people. However, when Starbucks wanted to enter the Indian market, the demands were rather high. Given that the Indian government does not allow 100% foreign direct investment in the retail sector, Starbucks had to form a minority partnership as a precondition to its market entry. Given the centrality of its brand promise and the underlying value proposition to customers, Starbucks decided not to enter the market at all. As is apparent from these examples, brand globalization is indeed very challenging. And brands will have to carefully examine the many different risks before honing in on any strategy. The need for growth is a constant in the current global business landscape. However, attaining growth is inherently characterized by equifinality. Global brands that simultaneously consider the benefits and costs emanating from the larger macro environment as well as from the resources and capabilities within the firm would be well positioned to achieve growth while at the same time minimizing the myriad risks inherent in the process.